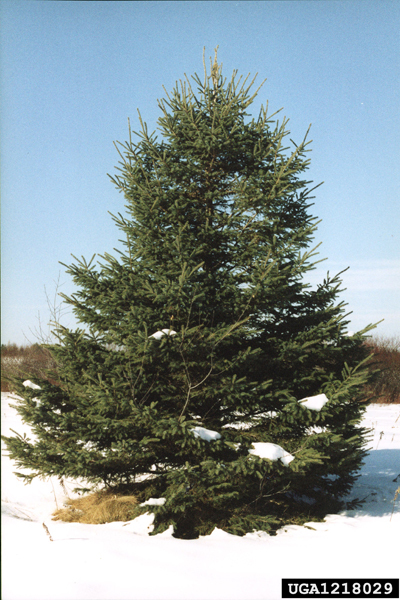 Evergreen, stiff, 1/3 to 3/4 inch long, green to blue-green in color, square in cross section. When crushed a pungent odor is apparent. Needle tips are pointed, but not sharp. Conical, medium-sized trees.